To advance information technology education through mentorship programs, technology tools, boot-camps, and an online computer lab designed for students and teachers. 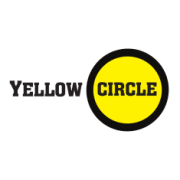 Yellow Circle Learning Platform is a technology playground where students learn technology concepts, they get hands-on experience with coding, cyber security, applications, programming, and IT infrastructures. Our online platform promotes increased learning by allowing students to apply their newly learned IT theories to create real world IT infrastructures in a non-production environment without having to worry about associated expenses. This cloud environment, further referenced as a "learning platform" provided through our website without fees to users. By using this platform students create, manage, and customize their own virtual private data-center. Each student have access to deploy private networks, routers, firewalls, servers, appliances, load-balancers, storage devices and more. Students increase their learning by implementing real world solutions by following guides and tutorials provided as Educational Materials & Tutorials. The goal is to encourage and enhance learning through an online educational platform that provides hands-on experience without the associated cost of software, maintenance, or hardware infrastructure. Would you recommend YELLOW CIRCLE INC?